What are you doing for Lent? Am I the first to ask? Ash Wednesday is only two weeks from today–a date I’ve been keenly aware of because I’ve been very busy lately putting together our Ignatian Prayer Adventure. 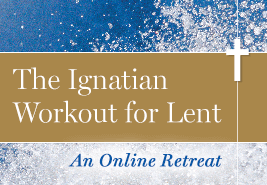 This is an eight-week online retreat that can be completed during Lent and Easter. It’s a version of the Spiritual Exercises. We’re using materials from The Ignatian Adventure by Kevin O’Brien, SJ. 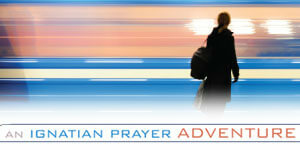 The retreat actually begins on the Sunday before Ash Wednesday–February 19. It will continue through Lent, concluding the week after Easter. Eight weeks in all. We’ve designed a retreat that you can adapt to your needs and circumstances. You can pray it every day–as much as 30-40 minutes if you have the time, or less if need be. The Prayer Adventure is full of scripture readings, meditations, reflections, and prayers that you can use however you wish. It follows the general arc of the Spiritual Exercises. If you stick with it throughout the Lent-Easter season, you will experience many of the graces of Ignatius’s great retreat. I’ll join fellow Loyola Press bloggers Paul Brian Campbell, SJ, and Vinita Hampton Wright in offering weekly reflections on An Ignatian Prayer Adventure. We’ll be doing this on our blogs, so you should be sure to subscribe to them: dotMagis, Days of Deepening Friendship, and People for Others. I’ll have more to say about the retreat in the coming weeks. Just love the Examen! Many thanks. This is very exciting! A friend of mine posted it on Facebook and I am going for it! Just getting into it now! Thank you for providing us such guide lines. Simply beautiful! Where do I have to sign up? do i get it thru this site? 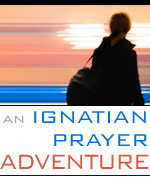 Ann, all materials for the retreat will be available through this page: http://ignatianspirituality.com/ignatian-prayer/the-spiritual-exercises/an-ignatian-prayer-adventure. To get reminders each week and notifications of the bloggersâ€™ reflections, subscribe to each of the three participating blogs using the links above. Will there be any audio reflections? Helen, there will be video reflections, but no audio-only reflections are planned. I can’t wait to start this…I am hoping to be strong enough to join Linda G in a pre-dawn (or at least at dawn!) spiritual adventure! I’m a morning person although I slept in till 5 this morning and my coffee is at this moment bubbling joy into the carafe). I’m not so strong when I have to work my job two evenings a week, believe me. Talk about Jekyll and Hyde. I usually stagger off my desk at 8 on those paltry two evenings and end up falling asleep on the couch halfway through my Examen. YES! I have my Lenten Journal all titled up and ready to go and my block of predawn block of time slated for our Adventure.